Lee’s winning drink, the Whitesmith Cobbler, won through against strong competition from Irish and Australian Southern Showdown winners. 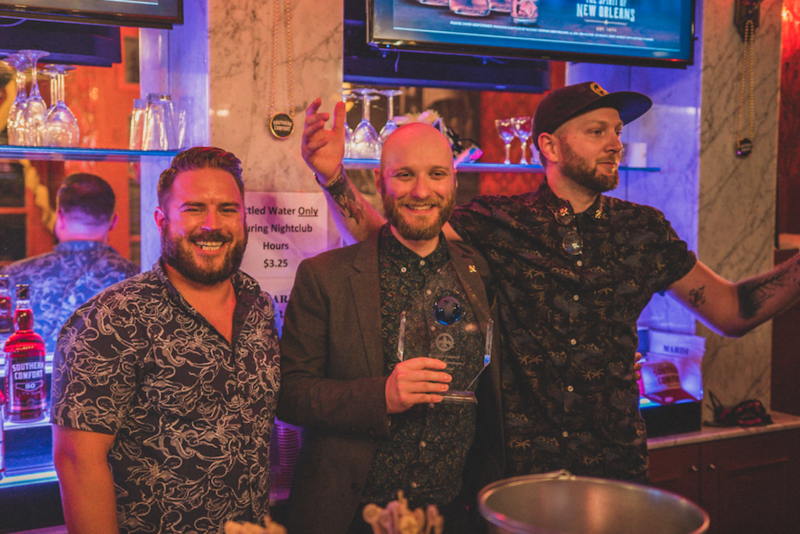 All three international finalists had already triumphed in their national contests, where they were challenged to recreate the spirit of their home town in a cocktail, just as Southern Comfort captures the spirit of New Orleans. Cocktails had to include the classic 35% ABV Southern Comfort Original, the 40% ABV New Southern Comfort Black, or the 50% ABV Southern Comfort 100 Proof. With the New Orleans final taking place in the birthplace of the American cocktail, a panel of international judges including Christian Tirel, UK & Ireland Southern Comfort Brand Ambassador, James Johnstone, Senior Brand Manager of SouthTrade International, Australia, and Norton Christopher, Beverage Director, Sac A Lait, New Orleans put the three finalists through their paces. Up against Lee were runner-up Daniel Gregory of the IXL Bar in Hobart, Tasmania, with his Where the Wild Things Are cocktail, and third place Shane Groarke of Cask bar in Cork, with his creation called Non-Genuine But Mine. Lee said: “To be in New Orleans representing the UK for the Southern Showdown Final is about as close to the essence of hospitality as you can get. I met passionate individuals from all over the world, who want nothing more than to celebrate the career we’ve all chosen. Served in a Nick & Nora Coupette glass. Garnished with a pickled gooseberry, mint hydrosol and absinthe bon bon. Southern Comfort is distributed in the UK by Hi-Spirits. For more information, please contact Hi-Spirits on 01932 252 100, email info@hi-spirits.com or visit www.hi-spirits.com.